Indian tax authorities are using a new data matching project to detect taxpayers who attempt to hide their assets and incomes in offshore tax havens. 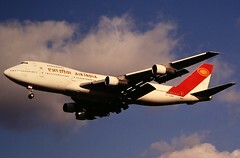 The Air Intelligence Unit (AIU), a department within the Income Tax Department (ITD) of India, is cooperating with the airlines, the Central Board of Excise and Customs, and even with travel agencies across the country to build a comprehensive database of Indian taxpayers traveling to countries considered by tax authorities to be tax havens. The collected data will be matched against the information provided by the taxpayer in their annual income tax returns, in order to find discrepancies and information mismatches. In instances where the investigation leads to suspicion of illicit activity, the AIU has been granted powers to summon the taxpayer and request further details. Initially the AIU will comb their database to see if taxpayers have declared any expenses arising from their travels. According to the ITD, any cases where taxpayers appear to travel with no arising costs, will see the individual being asked to provide more explanation regarding their trip. The Unit will also inspect all records to discover evidence of individuals travelling to other countries and conducting business on behalf of a third party. The AIU currently has a database of approximately 1.8 million instances of Indian taxpayers flying to countries considered to be tax havens. In the data set the Unit has identified over 1 000 individuals who have traveled over 30 times to such destinations throughout 2010. It was found that many of these travelers had provided false addresses on their travel documents or tax records, with some having declared no incomes at all throughout the year.